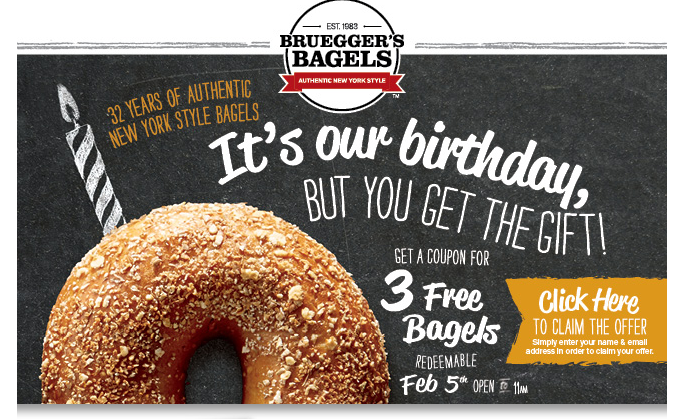 Bruegger's: 3 Free Bagels on 2/5 Till 11 am With Coupon! Fill out this form to score 3 FREE Bagel's at Bruegger's on Thurs. Feb. 5th open to 11am!